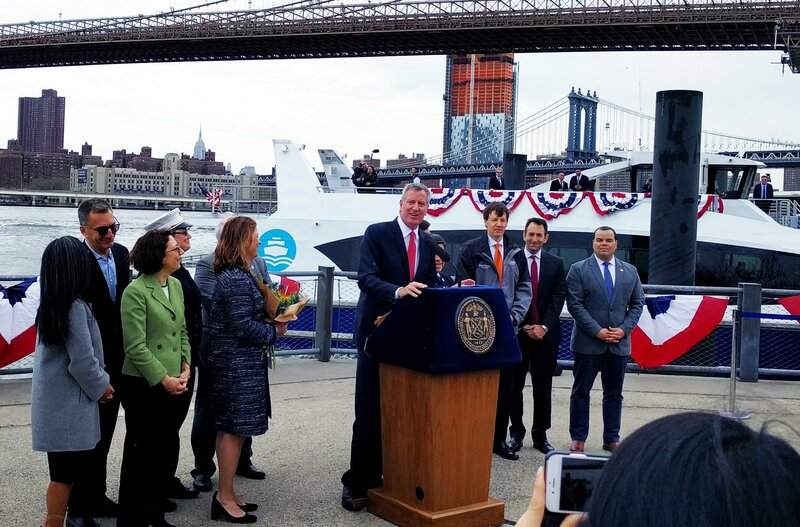 To celebrate the ahead-of-schedule launch of the Citywide Ferry service, Mayor de Blasio rode the first ferry (named “Lunchbox” by second graders from Bay Ridge) this morning into Brooklyn Bridge Park’s Pier 1 as part of an official dedication ceremony. 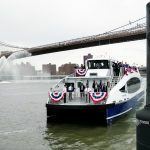 Beginning May 1st, all New Yorkers can join in the revelry when the new Rockaway Route and the existing East River Route kick off. 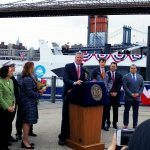 Service to South Brooklyn starts in June, and the Astoria route will be launched sometime in August. In all, there will be 21 stops added throughout the city as part of the expanded service. 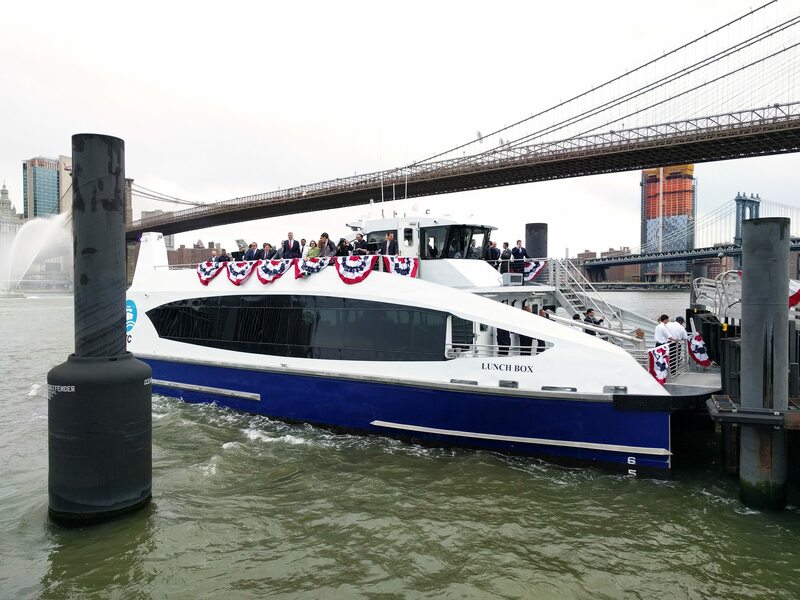 On top of today’s festivities, the city also released the official new ferry schedules. 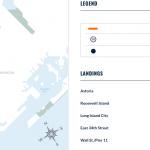 Indeed, Rockaway residents will finally see a decrease in their commute time to Manhattan. 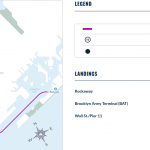 The Far Rockaway route will take passengers from the new dock on Beach 108th Street to the Brooklyn Terminal in Sunset Park and then Wall Street’s Pier 11. Free shuttle buses take riders to the ferry between Beach 35th and Beach 169th Streets. 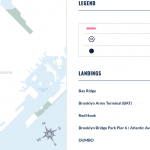 The total travel time from the Rockaways to Wall Street is just 59 minutes. 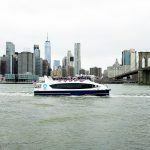 The South Brooklyn route includes stops in Bay Ridge, the Brooklyn Army Terminal, Red Hook, Brooklyn Bridge Park Pier 6, DUMBO and Wall Street’s Pier 11. The total travel time from the first to the last stop is approximately 43 minutes. 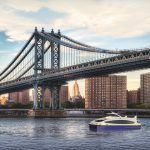 The growing residential communities of Queens will be connected through the Astoria ferry route, which includes stops in Astoria, Roosevelt Island, Long Island City, East 34th Street, and Wall Street. Get from point A to point B in just 38 minutes. The city also plans to create Soundview and Lower East Side Routes in the summer of 2018. The former has stops in Soundview (Clason Point), East 90th Street, East 62nd Street and Wall Street. 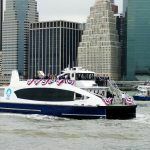 And the Lower East Side route takes passengers to stops in Long Island City, East 34th Street, Stuyvesant Cove, Grand Street and Wall Street. 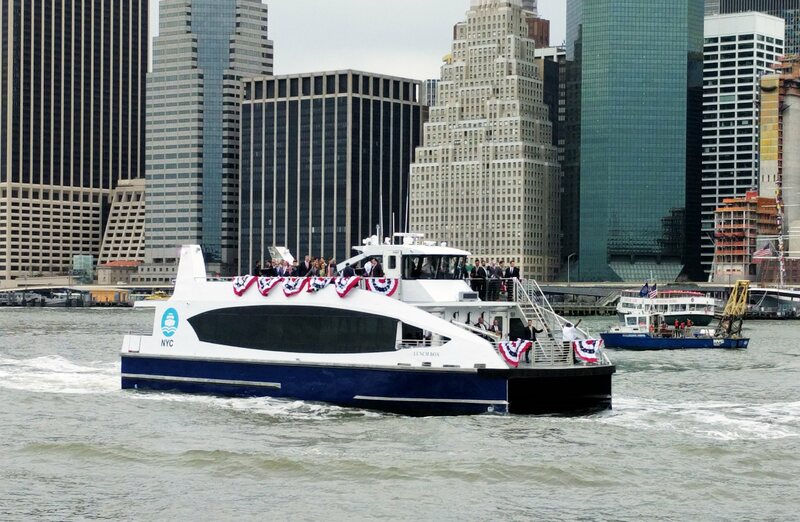 Plus, the 4,000 daily East River Ferry customers will see fares reduced from $4 to the cost of a single subway ride. 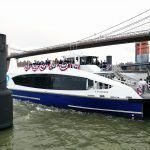 The city estimates the ferry will make about 4.6 million trips per year across the six routes. 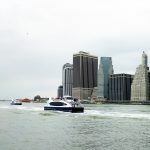 Fares cost the same as the subway, each ride at $2.75, with each boat having WiFi, and the option for passengers to buy food and alcohol. 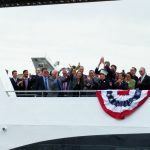 According to the city, the ferry service managed by the city’s Economic Development Corporation and Hornblower Cruises will create over 200 jobs, half of which will pay at least $50,000 per year.